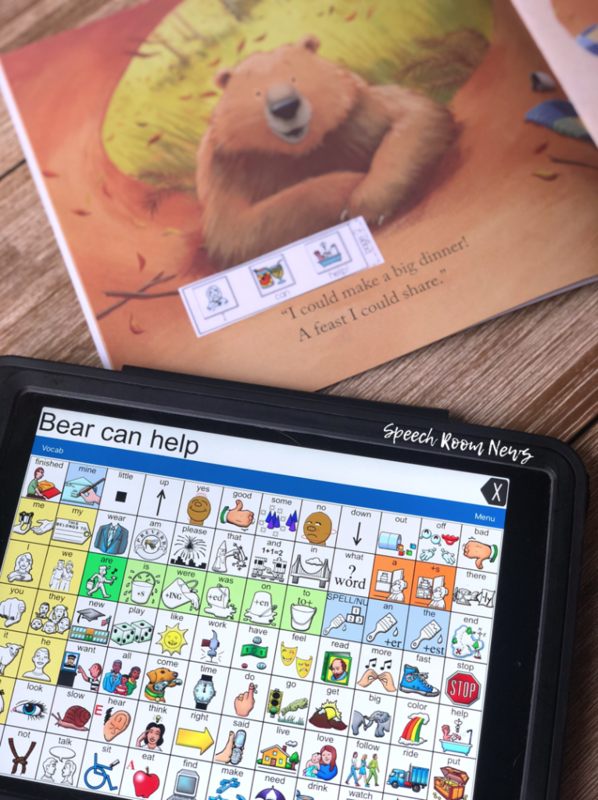 This fall, I started created some Core Adapted Books for my AAC users. 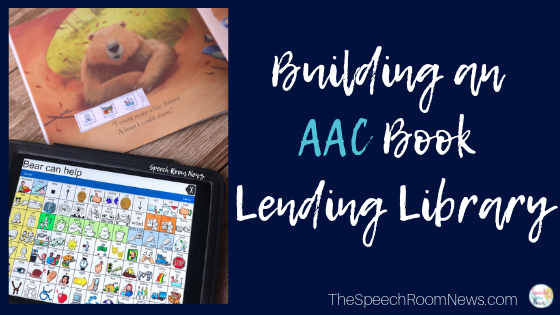 It inspired me to build an AAC Book Lending Library for my school. I have always used books to target core vocabulary but this fall I started adding sentence strips right into the books. After I did the first one, I realized I needed to make multiple copies so that I could send them home with the students and get them into the classroom libraries as well. 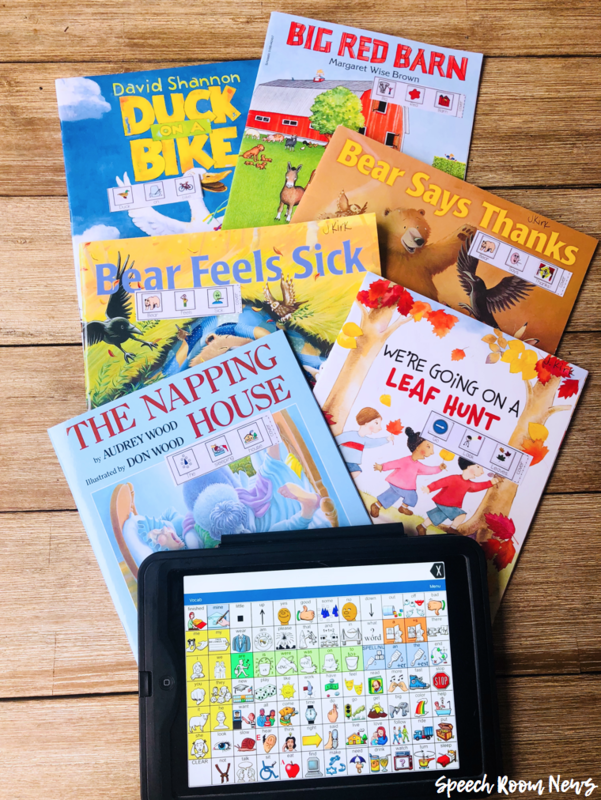 To make an AAC Core Adapted Library for your school or clinic, start by acquiring multiple copies of books. I did that through scholastic book clubs. They have most books for under $5. Across the top of the front of the book, write a “please return to: ___” statement in marker. I made 3-5 copies of each ones. It depends on the cost of the book. I know some of them will not return to me, so I wanted to make enough that I could always have one of each book on my shelf. To adapt the books, I created simple core word sentences to match the original text. I used a limited set of core words and just a few fringe words (especially in the titles) so that I can work using a variety of core words in different ways. For therapy, utilize the books in a few different ways to develop expressive skills via AAC. The first time you read the book, read the book as written first. Then point to each symbol and model the core word phrase. On the second read, do a “picture walk”. While pointing to pictures and modeling the core phrases on the student’s AAC device, engage your student and make it fun! Look at the book again, like a simple retelling. Prompt your student to add to the story by imitating the core word phrases. If your student is at the single word level, just select one word to model. If they are working on the two or three word level, match that! Utilizing the symbols that your student uses in his/her device is really the essential task for this activity. To solve this problem, I created some documents that you can download with Smarty Symbols included. Then you can easily swap those symbols for any other symbols as long as you have a copy of the images. You’ll open the file and then click on any symbols you want to swap out for ones your student is using. For my student using LAMP Words for Life, I downloaded the symbols from PRC. Then I clicked on each picture in the file and replaced it with the LAMP Symbols. Once you replace the symbol once, it replaces everywhere else in the file. 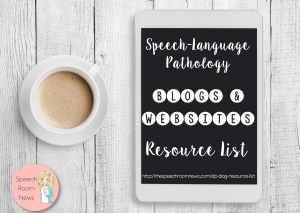 I’d love for everyone to try core adapted books! You can download a free set of adapted symbols here for the book “Spot Goes to School” and edit it to any symbol! You can also try the fall set with 6 different adapted books. If you change the symbols once, you’re good to go for every story! 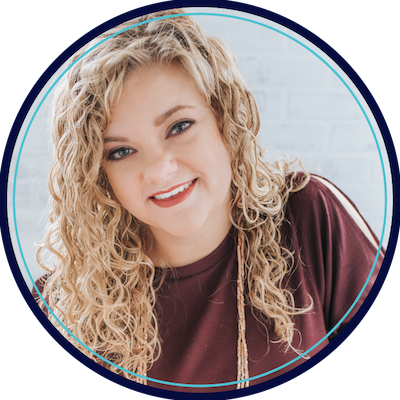 Hi Jenna, I would LOVE to start a pre-K AAC library, but am very intimidated! Where would you recommend starting…maybe just start with a winter book? Any you’d recommend? 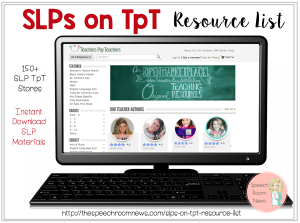 Are your symbols from your TPT? Hi Lana! Yes, you can download the sentence strips in my store using the links above! You just need to be able to tape them into a book! Start with one book! You can do it!